Jimmy Garoppolo joined the San Francisco 49ers more than halfway through this past season. When he arrived, the team was among the worst in the NFL, having won just one game. Garoppolo immediately made an impact, leading the Niners to victory in their final five games. And now, he's getting a bigger contract than any NFL player before him. The Niners and Garoppolo agreed to a five-year, $137.5 million contract. At $27.5 million annually, Garoppolo is the highest-paid player in the league. He's earning $500,000 more per year than Matthew Stafford, who signed a then-record extension with the Detroit Lions in 2017. The deal includes $74 million in guaranteed money and $90 million in the first three seasons, which is also an NFL record. In seven career starts, Garoppolo has a 7-0 record. After several seasons of backing up Tom Brady in New England, Garoppolo is finally getting his chance to shine – and he's making the most of it. It's unlikely he'll remain undefeated throughout his career, but with the NFC West in a state of flux, the division is wide open. 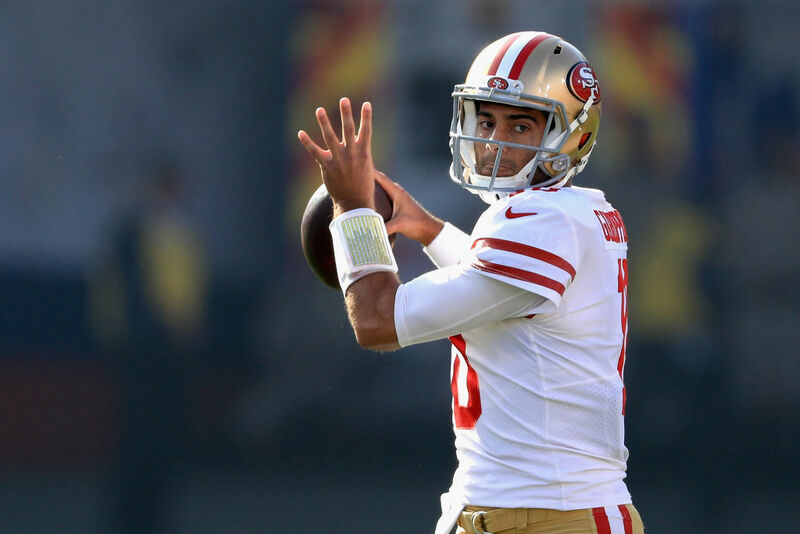 If Garoppolo can get the 49ers back to the playoffs, he'll be well worth the investment.